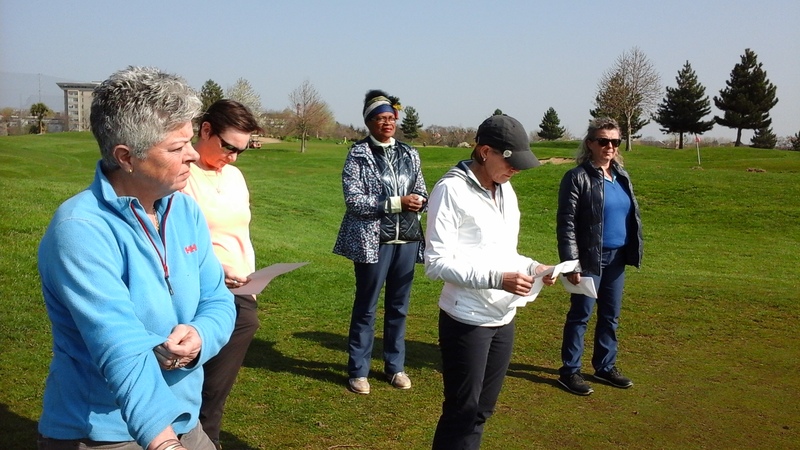 We had a glorious day today, 29th March for our putting class. Charles Sandison-Woods spent about 1.5 hours setting up a multitude of tools and devices to analyse and measure our individual putting actions. These ranged from mirrors to lasers, putting alignment diagrams to rulers, putting slope devices etc. etc. to give us a more scientific awareness of the art of putting. This was then followed up with some tests to identify strengths and weaknesses as well as suggestions for putting drills. A very productive session for all who took part.